Scene from a graphic novel, and soon-to-become animated sequence for a personal project. 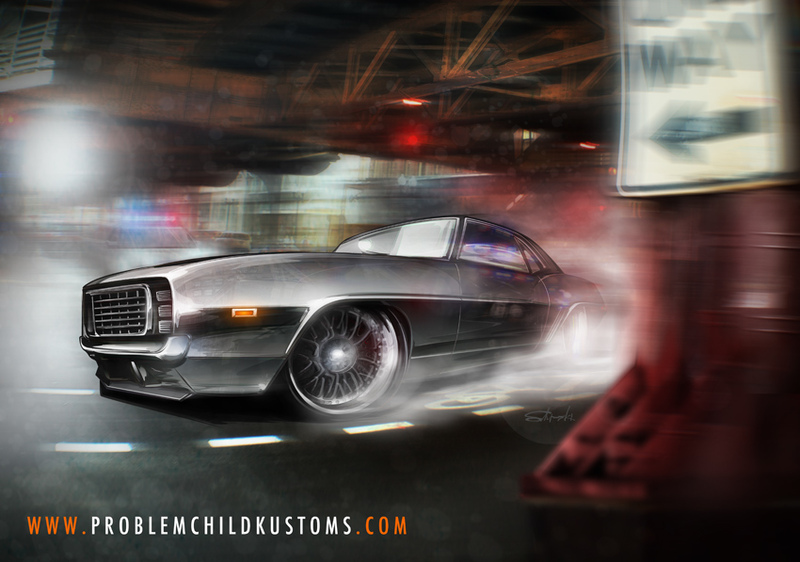 A classic Camaro street machine makes a run through Chicago's El, and gets mixed-up with the authorities. This is from a long-term personal project, which had grown a bit with last year's AutoWeek calendar. I have been working on a graphic novel and animated piece, as well as adding an action element to my work, and this became one of my favorites. Inspired by many, many car chase scenes (The French Connection and Blues Brothers played a role here... could you tell? ), this is but one of the pivotal scenes and sequences that have been haunting my brain. That said... have a speeding Camaro versus patrol cars versus traffic. Pencil sketch, Illustrator and Photoshop teamed up for some sliding action.